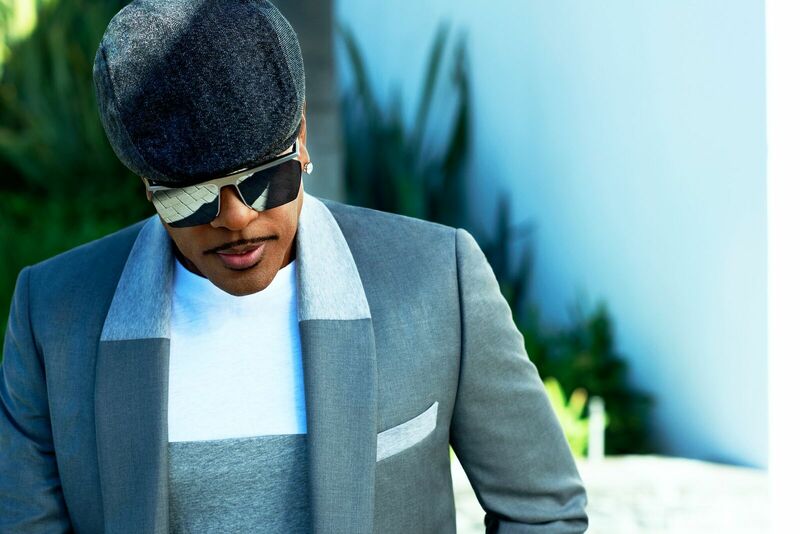 Charlie Wilson Is Back and In It To Win It! 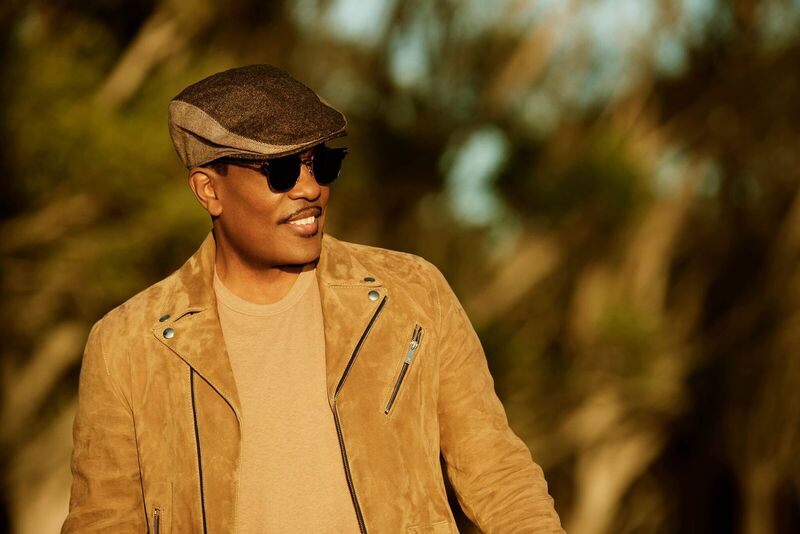 Charlie Wilson, the former lead singer of The GAP Band (“Outstanding,” “Party Train,” Yearnin’ For Your Love,” “Burn Rubber”) releases his eighth solo album Friday, February 17, entitled In It To Win It (RCA). It is a testament to his rarified longevity and greatness that his special guests range from Lalah Hathaway, Snoop Dogg and (with mild controversy) Robin Thicke to Pitbull, Wiz Khalifa and T.I. on songs that run the gamut stylistically from R&B, Club, Gospel and Pop. 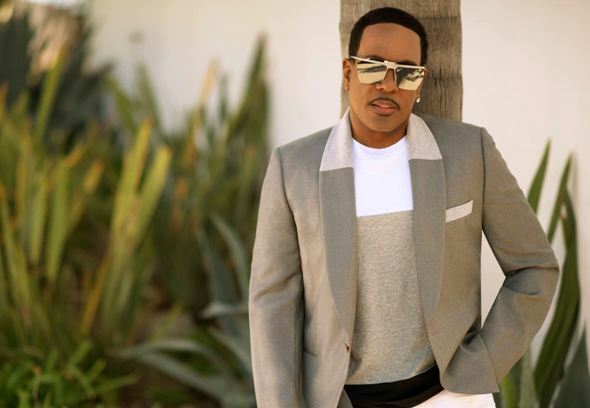 “Uncle Charlie” has also just embarked on a two month tour with Fantasia, Johnny Gill and a new duo named Solero that is part of his affiliated P Music Group production company. In the chat that follows, The Urban Music Scene Music Editor A. Scott Galloway talks with Wilson about this sweet spot where he’s arrived in his enviable career. Galloway: The last time we spoke you were on the comeback trail with your second solo CD, Bridging the Gap (2000) and newfound sobriety. Now, seven albums later, you have arrived at a unique level of legend. You are a four decades-plus in the music game veteran yet your music is as contemporary as a 20 year-old’s. How do you keep up with music trends? Do you stay up on the radio or leave that to your producers? Wilson: What I don’t do, because I’ve never done it, is be a follower. I’m a leader: always have been, always will be. I have a conversation with the guys (i.e. his producers) and we just bring it fresh…whatever it is. See, if I listened to radio a lot, it’s easy to steal and not know you done stole…not remembering where something came from! I’m a fan of a lot of music out there but I can’t afford to listen to a lot of it when I’m in the process of making a record. I catch up and love up on everybody after I’m done. Then I can be up on “currents”: what’s going on in the pop and R&B worlds. Galloway: Beyond the breadth of the music, this album also has a very strong vibe of autobiography. Any particular reason why that is this time around? 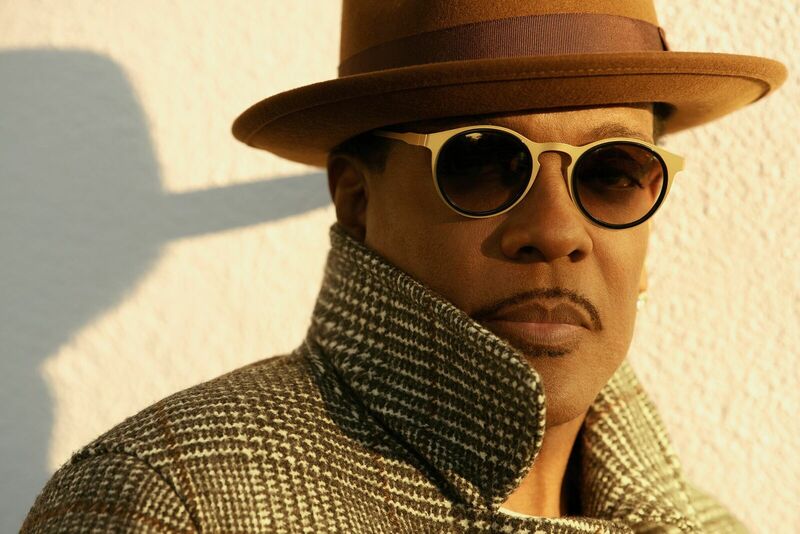 Wilson: I’ve wanted to open up about my life more on records, though I have written a memoir (“I Am Charlie Wilson” – 2015). There were days when we were talking, opened the mic, pushed record and I continued to talk about some things that happened in my life. Now I know I can do it without gasping. We all share a lot of the same problems in life. For me to talk about these things is one of the best things I can do as an artist. And I will continue. It’s a healing process. Wilson: First of all, let me say this: in the morning when I wake up, I pray and give thanks to God. Before I go to bed, I do the same thing. Nowadays people of every age, nationality and spiritual background are on social media typing, “Wassup #blessed.” I wondered, “Do they really know what it means when they say that? “I figured let me just g’on and show them what it means when you’re blessed, and also bring somebody with a different perspective from the Hip Hop world of the Dirty South to show you how blessed he is. I was glad to get (rapper) T.I. to do that. I know there are people that look at the names on my albums and wonder what I’m doing (recording) with them? It’s like a box of candy and they won’t know what they’re getting until they open it up. Galloway: Your new single, “Chills,” is a beautiful mid-tempo love song. I’m really feeling the vocal hooks within hooks and that luscious live bass playing. Tell me how you selected this as the first single out of all the wonderfulness you’ve delivered here…from the club to the church. Wilson: I can’t miss with “Chills.” My core fans will love it because it’s about a man still talking about how beautiful his woman is…after all these years. Singing about celebrating a woman: that’s usually going to work for you. (Producer) Greg Pagani who I’ve been working with for years did that one. Galloway: You have a lot of wonderful collaborators on the new record but there’s one I found to be controversial: Robin Thicke, given the bitter divorce and custody battles this white pop artist is going through with his famous black ex-wife (actress Paula Patton) not to mention the lingering sting of his involvement and comments stemming from the lawsuit (producer/songwriter) Pharrell Williams had against the Estate of Marvin Gaye concerning the song “Blurred Lines” having elements of Marvin’s “Got to Give it Up” in the arrangement. Tell us about your relationship with Robin in light of headlines surrounding his life and career. Wilson: Greg Pagani wanted to surprise me with a record and put somebody on it. He came to me with “Smile For Me” and Robin’s voice was already on it. Me and Robin didn’t speak about that record at all. I didn’t know a lot about what was going on with him other than he was in a little hot water over his marriage. I’m not the type to go peeking around on social media seeing what’s going on in everybody else’s life. Greg brought the record in and it sounded good. I asked, “Is that Robin on there…hmmm, I never thought about having him on there.” But it turned out really beautiful. If I was to tell people, “Yeah, we kicked it live,” that would be lying. But it came to me the way that it did and I accepted it. When you’re going through things, that’s when you need somebody to help lift you up, man. Sometimes you don’t say or do the right things, and you fall between the cracks. I’m blessed to have my wife of 22 years in my life…there all the time to make sure I don’t slip on any banana peels. We’re very close, connected and try to show couples in the music business what that is if in no other way than as an example. Sometimes we just need to go grab a brother and wrap him up. Robin can sing, he’s a big Charlie Wilson fan and our voices match perfect. What could be better? Whatever happened yesterday is in the past. Even the scripture says you’re not supposed to look back. Your blessings are ahead of you. It might start a chain reaction. If he does more smiling, maybe he can make somebody else smile. Galloway: Who were your greatest influences for singing, songwriting and performing? Wilson: Sly Stone for performing, Stevie Wonder for songwriting and Donny Hathaway for singing. Wilson: Yes, she is a jewel… We didn’t even need to be in the same room. When she hears a piece of music, she knows how to deliver it. She really knows how to make a melody her own. I love her just as much as I love her father Donny. She’s just like him…only in a woman’s body. That song is 80’s pop. Remember how it was back then when a male and a female were attached on a record like “Endless Love” (Diana Ross & Lionel Richie)? Nobody makes those kinds of records anymore… I felt it was time for us to make a love song with substance that people can really embrace right now. Galloway: 2016 was a heavy year for music legends making their departure. I wanted to get your reflections on a few of those folks whose paths I know you crossed starting with Brother Maurice White, founder of Earth Wind & Fire. Wilson: Maurice White was a genius, man… a great musician. We knew each other well. I remember meeting his son when he was about 8. I loved Maurice. I always wanted him to write and produce a record for me. At the time I was asking, he had his hands full with that 3-sister group (The Emotions), Deniece Williams and Earth Wind & Fire. He told me, “Man, if I could just shake something, I would.” But we were close and I’m still close to Verdine White and all those guys. Galloway: Marlo Henderson, a great guitarist who passed through Oklahoma and also contributed to many GAP Band albums. He passed in October of 2015. Wilson: Wait a minute…I did not know Marlo was dead! Oh, my gosh… When we come out of Tulsa, Marlo was really close to us. He was playing with Stevie Wonder in those days. We’d see him at least twice a week and get all the stories. He could play that guitar, man. I can see him now…with all those freckles. Galloway: Another guitarist from those days is Jimi Macon who passed last year. Wilson: Gosh, man… let me tell you something. Jimi stayed with me for a few years before I got him in The GAP Band. I had him play for somebody else – put the phone to his guitar which was NOT plugged up to an amp. Man, Jimi was strokin’ so fast that the person on the other end was just screamin’ and hollerin’! He was the strokinest of all the stroke guitar players like I’ve ever heard. He stayed with me for three years in the next room over. I love Jimi Macon. I didn’t know he was as sick as he was. I just knew I was going to play with him again…but it didn’t happen. What a gift that guy was with a guitar. Galloway: Finally, please speak about legendary singer/songwriter/keyboardist Leon Russell (composer of “A Song For You,” “This Masquerade” and “Superstar”) who was instrumental in starting The GAP Band off as his backup group in the mid-70s. Wilson: Leon Russell was also a gift to me. We got really tight. He came into a club where I was singing – that’s how I met him. He was kind of drunk that weekend! He came back a week later and told me, “We just wanted to make sure we really heard what we thought we heard last week! Man…you’re incredible!” He asked me if I wanted to record with him and of course I said yes. We went on the road with him as his back-up band. Leon always wanted me to be a rock star! The things that he shared all through my GAP Band days really stuck with me. He said music was all about the intros and the outros, what’s in between doesn’t really matter…as much! If you can grab `em from the beginning, you’ve got `em! So having roosters (“Early in the Morning”) and motorcycles (“Burn Rubber On Me”) and things on the beginnings of our records was all because of what Leon shared with us. Also, when people get in the car and hear a song ending that’s really sounding good, you need to make sure those endings are wailing so people will want to know what that was. Galloway: I’d like to close with something light. I have many favorite recordings of yours but my absolute favorite is your duet with Aaron Hall, “It’s Gonna Be Alright” from the “Boomerang” soundtrack (1992). Unlike so many duets recorded these days where singers aren’t even in the same studio together, you two were electrifying on this joint going back and forth, hollerin’ and having a sincere moment. Please tell me your memories of cutting that song with Aaron.